For people to understand, you must speak their language. Obvious, huh? But most Westerners ignore this basic rule of communication in their cross-cultural relationships. To meaningfully communicate love and honor to people, we must use the cultural “grammar” of honor-shame in relationships. These 6 keys can help you tangibly incarnate God’s love and honor in honor-shame cultures in a way that makes sense to them. 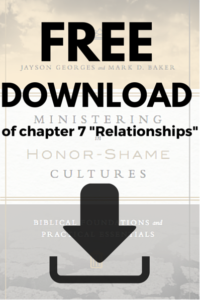 For more principles about relationships in honor-shame cultures, download the free PDF “Ministry Relationships,” Chapter 7 from Ministering in Honor-Shame Cultures. The chapter features 20+ examples from 15 different countries to illustrate all 8 guidelines for ministry relationships in honor-shame cultures. Addressing an issue in honor-shame cultures can be tricky. To avoid “losing face,” consider using a cover. A cover is an indirect way of making a request to minimize conflict and avoid exposing others’ shame. Here are two basic examples: Instead of asking someone, “Why are you late?” with an accusing tone of voice, simply ask, “Are you okay?” When you must decline an invitation, consider using a “relational yes.” Instead of directly saying no to their invitation, you can affirm the relationship with a polite euphemism, such as “Oh, thank you!” The purpose of a cover is not to avoid the problem but to avoid unnecessarily shaming people. This preserves relationships while addressing the issue. In the parable of the Prodigal Son (Luke 15:11–32), what does the father say when the son returns home? Nothing! He reconciles the son through two symbolic gestures: clothing and food. The father said to his slaves, “Quickly, bring out a robe—the best one—and put it on him; put a ring on his finger and sandals on his feet. And get the fatted calf and kill it, and let us eat and celebrate.” This announces restoration far louder than any words ever could. When you offend someone, consider non-verbal ways to repair the relationship. For honor-shame cultures the problem is often loss of face, so reconciliation happens when face is restored (not just when restitution is made). Hosting someone for a nice meal or publicly praising them would be interpreted as sincere honor and reconciliation. And when people wrong you, don’t demand a verbal eye-to-eye apology; allow for a symbolic apology. In Central Asia I was trying to take a roll of carpet on the airplane with us. The check-in attendant said it was too heavy for the small plane. (But $50 would lighten the load somehow!) My mom was traveling with us, so I leaned over the counter and whispered to him, “Please help me. My mom is visiting our country for the first time. She bought this carpet as a gift for us, and I will be embarrassed if we can’t get it home. I am afraid she will be upset or think badly of our country.” He was pleased to help. Becoming a client can resolve a situation. This means creating a patron-client relationship, wherein you are the client requesting help from a patron. People relish helping others because it displays their connections and clout. Being a patron enhances their honor, so don’t feel bad for making your request known as a client. Do you know how to be an “honoring guest”? Believe it or not, receiving honor as a guest actually gives honor to the host. Receiving indicates they possess an honor to grant you, which makes them feel secure and equal in the relationship. And don’t just hoard the honor for yourself. Reciprocate by being incredibly grateful; lavish thanks on them for their generosity and hospitality. Westerners feel uncomfortable eating an honorable portion or taking gifts (especially from “poor” people). But, not receiving prevents hosts from fulfilling their obligations, and they sense shame. Not receiving hospitality indicates the host has nothing of value to offer you and suggests they are socially inferior. Westerners minimize giving to avoid dependency or paternalism. But the honor-shame grammar interprets this as “no gift means no relationship.” Gifts are the invisible glue that bind people in relationships. Gifting in honor-shame cultures can establish a variety of relational models, so it is important to know what a gift means. A gift to a superior functions as a client’s thanks to a benefactor. If the recipient is a social equal, a gift reaffirms your common group membership and peer relationship. But giving a gift to a person unable to repay establishes you as a patron helping a client (This may create an overwhelming sense of obligation to repay. So it may be better to not give some gifts because people are so calculated about keeping things balanced.) Gifts can carry different significance in different contexts. By properly understanding these social undercurrents, we can steward resources to appropriately honor people of all classes. Whether they realize it or not, Westerners are viewed as patrons in developing contexts. Their wealth and status make them the new “Big Man” from whom people come to expect things. This role leads to relational confusion, tension and stress in relationships with nationals. Christians are never obligated to fulfill expectations of patronage, but we are freed from sin to serve others through socially accepted channels, like patronage. A patron is not some sugar daddy just doling out money, but a respected person in the community who solves problems. Patronage is a model for long-term relationships (even though the exchange is not symmetrical). 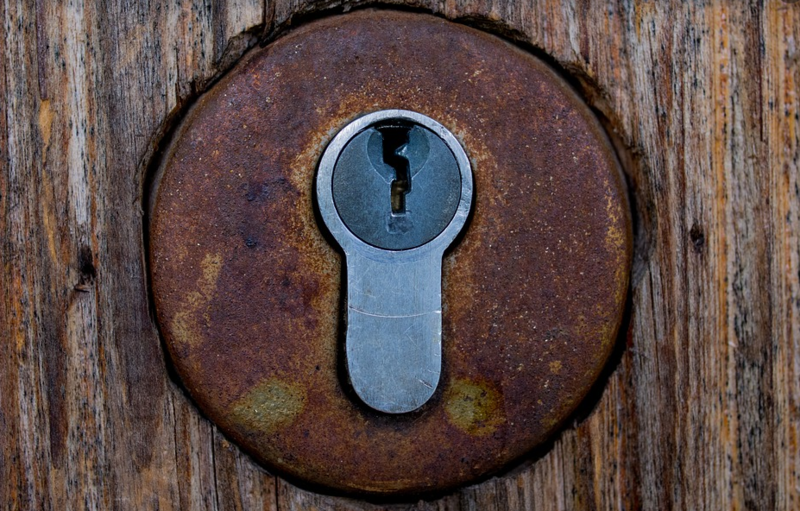 This relationship can sometimes be a means to exemplify God’s kingdom. Yahweh and Jesus utilized patronage to mediate salvation to the world. Thank you! This is so helpful. I work for a global organization and think it would be helpful if all our employees in the West could read this to know what is proper in relating with our staff in the East.